I forgot to mention this in my last post, but Marlene is no more. 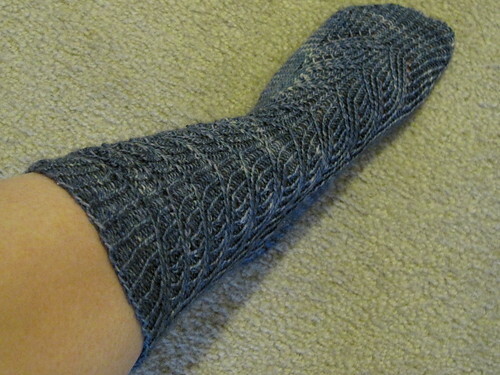 I did finish one sock, but I wasn’t in love with it. After thinking about it, I decided to rip it out. 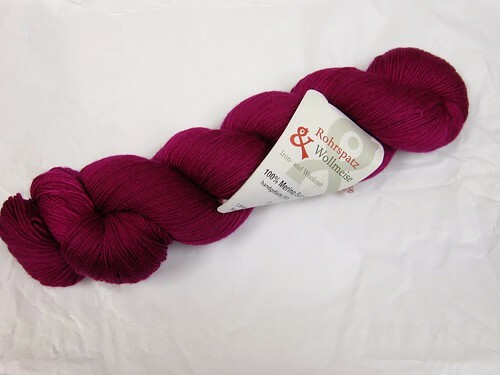 I haven’t decided what I’ll do with the yarn yet, but I’m sure I’ll find another pattern to use it in. I’m glad I decided to rip it out because I really wasn’t looking forward to the second sock at all. 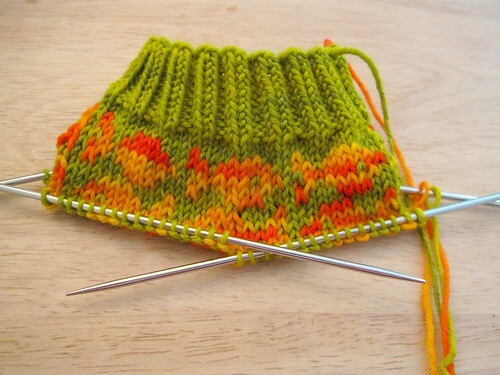 I did make some progress on the Swedish Fish socks, but now I’m not sure about the color of the fishies. What do you think? Should I change the fishies and if so, which should I change it to? 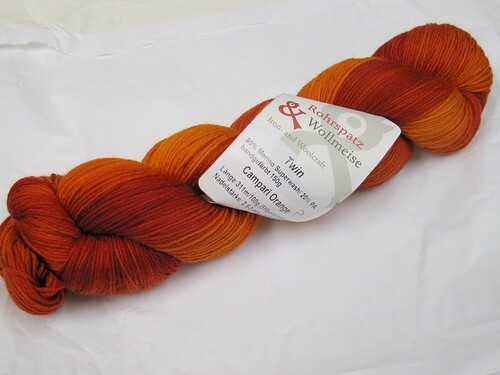 Okay, time to go to knitting! Later! in a HEARTBEAT WITHOUT A DOUBT I WOULD DO FUCSHIA!!! WITH THE GREEN, THEY’RE COMPLIMENTARY. I think fuchsia. The orange seems too close to the green to show the fish well. The fish socks are going to be so cute! 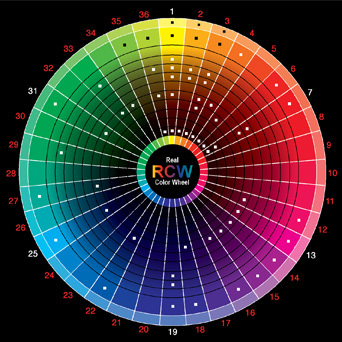 after looking at the color wheel…. I’d do the fuchsia as well. I love the color of the fish! I think maybe change the background color? I like the Campari – is that the fuchia everyone said above?? ?